is comprehensive cloud based Application tracking Software that is designed around the way human resources, recruiters and Staffing Agencies work. Keeping in mind that time is the key for a right productive ATS system; StaffingSoft is developed to be a comprehensive package that helps to improve your everyday work flow in all aspect of business process from resume management, to job management, time management, report management, candidate management, client management and more. StaffingSoft HR Edition is the best way to find and manage top talent employees for today’s demanding HR Executives. 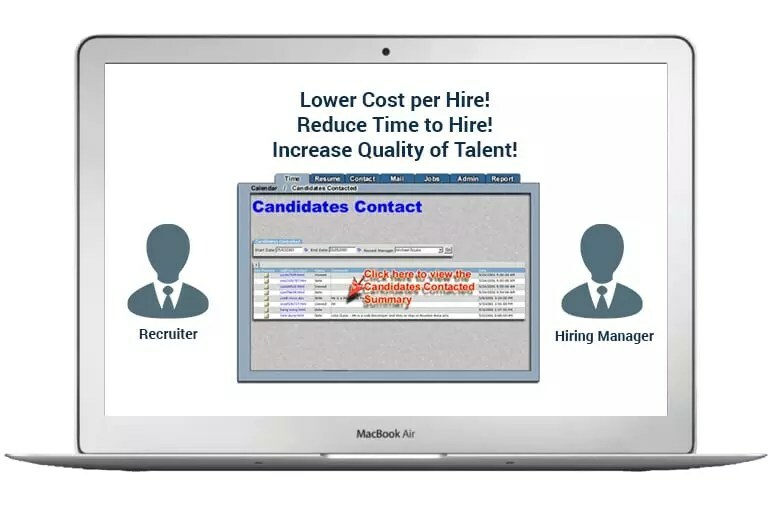 StaffingSoft HR will streamline your hiring process, reduce the time to hire, increase the quality of hire and most of all reduce the cost of hire. Is the solution to your recruiting needs. Being equipped with a suit of tools necessary and desirable to manage and overcome the steps in the recruiting process.